Welcome to the thirty-fourth installment of the Haunted Montreal Blog! Released on the 13th of every month, the February 2018 edition focuses on research we are carrying out into the old Royal Victoria Hospital, an abandoned castle-like structure that sits on the slopes of Mount Royal. Reputed to be one of the most haunted sites in Montreal, the hospital has many ghosts. Haunted Montreal is currently in winter mode and is not offering any more public ghost tours until May, 2018. Stay tuned for some of the ideas we are planning for the winter months! On the eastern slopes of Mount Royal sits the abandoned Royal Victoria Hospital, a dark, creepy and imposing structure. 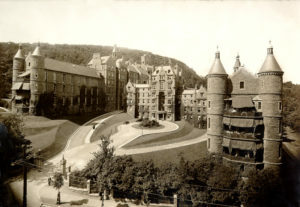 Built in 1893 in the Scottish baronial style, the hospital operated for well over a century before finally being shuttered and relocated in 2015. The Royal Vic witnessed tens of thousands of deaths over its lifespan and rumours suggest that the old buildings had simply become too haunted for patients to recover peacefully any more. 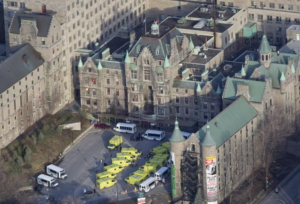 Fondly nicknamed the “Royal Vic”, the hospital was established because Montreal did not have any English-language health facilities at the end of the 19th century. The costly venture was covered by the financial contributions of two wealthy Scottish immigrants, Donald Smith and George Stephen. Set on 18 acres of land, the hospital was designed by prominent British architect Henry Saxon Snell and built with Montreal limestone. The vast medical compound was constructed to cater to the needs of the sick “of all races and creeds” and to provide training for nurses. Over the years, the philanthropy of many prominent members of Montreal’s English-speaking community helped make the hospital a major center of healthcare and learning. 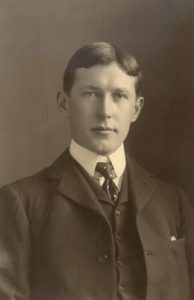 Some of the city’s most talented doctors and surgeons worked there, including John McCrae, author of “In Flanders Fields”. 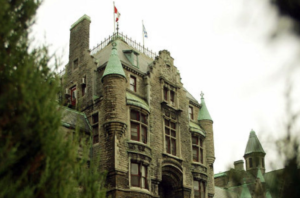 In 1920, the Royal Vic became a medical research institute attached to McGill University leading to the first organ transplant in the British Commonwealth, which was performed there in 1958. The hospital has a long list of medical accomplishments. Presently, the Royal Vic is part of the McGill University Health Care (MUHC) network, a conglomeration of hospitals and health services. In 2015, the MUHC relocated the Royal Vic and merged it into to the new Glen Superhospital in N.D.G., leaving the original limestone buildings on the slopes of Mount Royal abandoned. Some patients have had very strange and frightening experiences at the old Royal Victoria Hospital. According to various testimonials, it was not exactly the best hospital for peace of mind while trying to recover. The old lady then advised DB: “Straighten your back and walk as fast as you can in front of the nurses station. It’s going to hurt, but you’ll then be out in no time”. DB took a deep breath, pulled herself up straight, and walked the dozen steps to the nurses’ station as fast as she could. While the procedure did “hurt real bad”, DB was pleased when that afternoon a doctor came to see her. He told her she could go home, which surprised her because she had not been due to be released for several days. A few months later, DB had to go back to the Royal Victoria Hospital for a routine follow up, but her appointment was on another floor. At the time there was construction in the hospital that affected the elevators. As DB was going up to the floor where her appointment was scheduled, the elevator suddenly stopped at the floor where she had encountered the ghostly old woman. 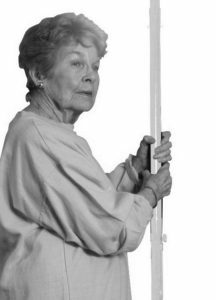 When the doors opened, DB was startled when she spotted the same intravenous pole in the exact location where she had first encountered the mysterious old lady. DB’s bizarre story was but one of many that plagued patients and staff over the years at the Royal Victoria Hospital. As Hallowe’en approached in 2013, trouble started brewing when staff members decided to publish some of their own ghostly tales on the hospital’s website. 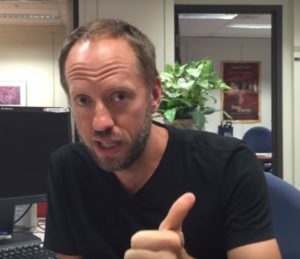 On October 30, the Royal Vic announced: “In the spirit of Halloween this week, we would like to share some chilling ghost stories that were submitted by our MUHC staff.” A total of three haunted tales, all disturbing, were posted online. 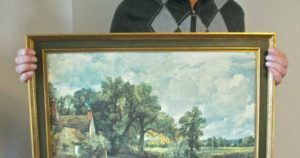 Whether or not the elderly lady in the painting was related to the old woman with the intravenous pole who DB encountered is unknown, but it raises questions about why an elderly woman might haunt the hospital. 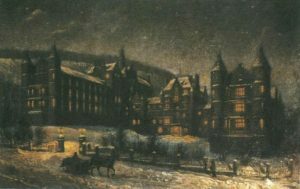 Following the publication the Royal Victoria Hospital’s ghost stories, some patients began to complain that the dark tales were not good for their peace of mind. 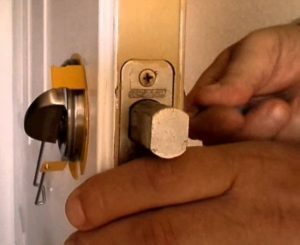 Simply put, in order to recover efficiently, they felt that they should feel safe and peaceful instead of disturbed and frightened. Officials assured the complainants not to worry because plans were afoot to move the operations of the Royal Victoria Hospital into a new super-hospital called the Glen. The old hospital, which was seen by some people as being too haunted after over a century in operation, would be abandoned once and for all. The thinking at the time was that the ghosts would most likely remain in the old buildings, meaning patients and staff would no longer have to cope with them in the shiny new facility. As for the buildings comprising the old Royal Victoria Hospital, they could be recycled into something else. 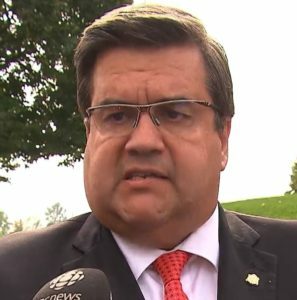 Around that time, Montreal’s former mayor, Denis Coderre, announced that he was going to meet with provincial officials in an attempt to hammer out a plan to repurpose the old hospital. As promised, in 2015, all the staff and patients were moved to the new Glen superhospital in N.D.G., a few kilometers to the west of the original. Billed as the “biggest hospital move in Canadian history”, the operation began at 7 a.m. on Sunday, April 26. A total of 154 patients were transferred from the old Royal Vic by a convoy of ambulances to the new superhospital, the first being a baby in neonatal intensive care. 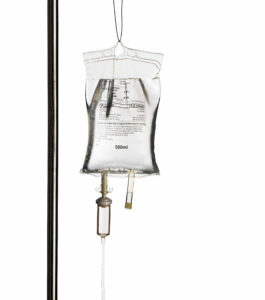 Over the next several hours, an ambulance would depart roughly every three minutes. 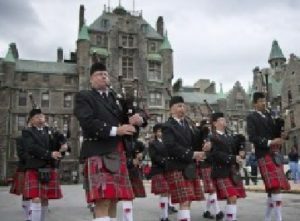 To mark the event, the Black Watch Royal Highland Regiment paid tribute in a ceremony with swirling bagpipes. Just slightly after the twelve bells of noon, the operation was complete. After a full 122 years in operation, the old Royal Victoria Hospital was unceremoniously shuttered, leaving its ghosts behind once and for all. The Royal Vic’s new home, the MUHC or Glen superhospital, is a brand new health care facility featuring state-of-the-art technology. Spanning five city blocks, the health complex has 346 adult care beds, 154 pediatric care beds, more than 8,000 staff and a research institute attached to McGill University. 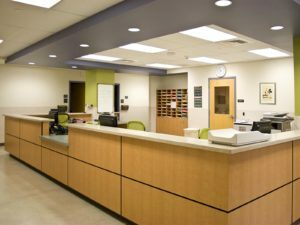 Other hospitals that have since moved into the structure include the Montreal Chest Institute, the Cedars Cancer Centre, the Montreal Children’s Hospital and the Shriners Hospital for Children. The new Royal Vic has the honor of occupying the very center of the massive health care complex. As the new superhospital began bustling with its many new arrivals, the abandoned Royal Vic began to take on a forlorn look, its empty windows staring down onto the city below. With no decision taken about repurposing the buildings, the old structures began to take on the haunted atmosphere that the former mayor was trying to avoid. While many Montrealers began to shun the creepy old hospital, other braver souls decided to try and make some good use of it. Occasionally, it is used for a film shoot or other cultural activity. Just a few months after the Royal Vic’s closure, playwright Alyson Grant wrote an immersive, site-specific piece of theatre called “Progress!”, which she set in the hospital’s old nurses’ lounge. Grant was not the only person still thinking about the ghosts in the abandoned hospital. 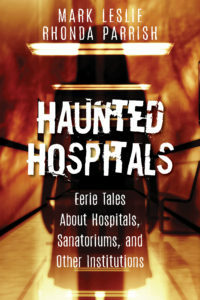 In August, 2017, authors Mark Leslie and Rhonda Parrish published “Haunted Hospitals: Eerie Tales About Hospitals, Sanatoriums, and Other Institutions”. The book covers various institutions and features “frighteningly eerie tales from Canada, the United States, and around the world.” Sure enough, the many ghosts of Montreal’s old Royal Victoria Hospital are highlighted in the book (pages 83 – 86). With so much buzz about the haunted hospital, more recently, Radio Canada sent an urban chronicler to investigate. Just before Hallowe’en in 2017, Hugo Lavoie was given the assignment to explore the underside of the old Royal Victoria Hospital for a French-language program called Gravel le matin. 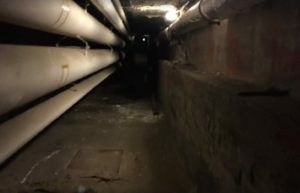 The segment was titled “Visite du tunnel de la mort de l’ancien hôpital Royal Victoria” (translation: Visit to the Tunnel of Death at the Old Royal Victoria Hospital). 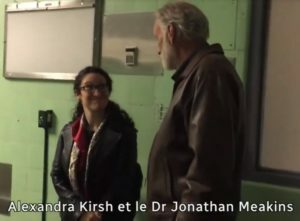 Accompanied by Dr. Jonathan Meakins, who is now in charge of heritage at the old Royal Vic, and conservator Alexandra Kirsh, Hugo Lavoie began his visit in the former emergency room of the old establishment. Wanting to recreate the experience of a patient dying, Lavoie was then taken to the now-empty resuscitation chamber and then an old surgery room. 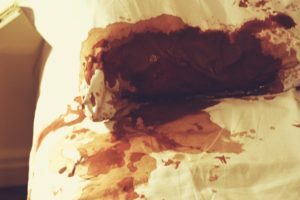 He mused: “When things go wrong, we die and then are brought to the autopsy room. You have to go down to the basement to go through the infamous corridor. It’s a bit disturbing.” His next stop was the infamous Tunnel of Death. When the hospital was in operation, the Tunnel of Death was a very busy place. When a patient died, the corpse was placed in a large box and was then transported through the macabre tunnel, passing under University Street, to the autopsy room at the Institute of Pathology. Now that the Royal Victoria Hospital is abandoned, the buildings, tunnels and grounds are spookier than ever. While nobody knows what is in store for the Old Royal Vic, the adjacent McGill University has its sights on it. The university is hoping to expand its campus to increase space for teaching and research. 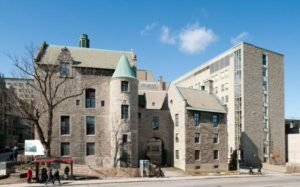 McGill hopes to create a state-of-the-art “living laboratory” for new ways of working, collaborating and tackling complex problems. 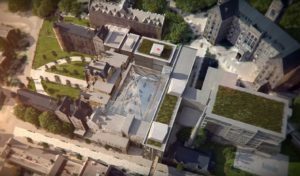 The university even created a slick video of their proposal to take over and integrate the old hospital buildings and grounds into its campus. 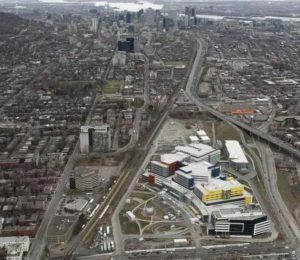 The plan is to preserve the hospital’s heritage while opening up green spaces, improving access to Mount Royal, and reducing the height of some of the more modern buildings to allow for a better skyline. An impressive glass atrium is also on the cards. 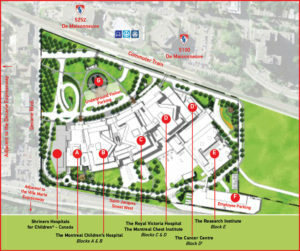 Whether or not McGill will be successful in acquiring the old Royal Victoria Hospital is a matter of pure speculation. Only one thing is certain: whoever inherits the creepy old hospital buildings will also inherit their haunted legacy – and, of course, their ghosts! 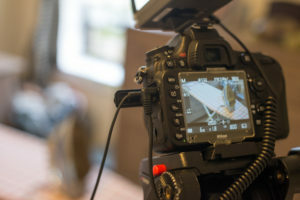 Haunted Montreal has been contacted by an media production company, because they wish to do an episode about ghosts and hauntings in Griffintown. 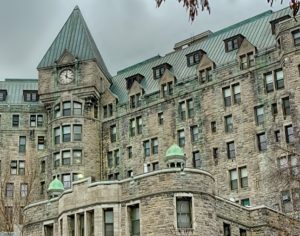 Based in the United Kingdom, the company has requested Haunted Montreal’s assistance in finding people to appear on the television program to share their personal ghost story from the Griff. Shooting will take place in late April or early May, 2018. Furthermore, Haunted Montreal has been doing extensive research into potential winter activities, such as haunted pub crawls. After visiting Charleston, South Carolina and Savannah, Georgia, Haunted Montreal researchers are now distilling the information gathered in hopes of creating some winter activities in Montreal. We may offer a prototype in early 2018 and are planning a full season of activities the following winter. The Black Rock, also known as the Irish Stone, sits in the middle of a traffic island on Bridge Street and marks the final resting place of approximately 6000 victims of the Irish Famine. In 1847, Montreal was overwhelmed with tens of thousands of Irish refugees. After crossing the Atlantic Ocean on “coffin ships”, many of them stricken with the deadly typhus disease. Fever sheds were erected and those who died were hastily “trenched” into mass graves in the middle of the night. 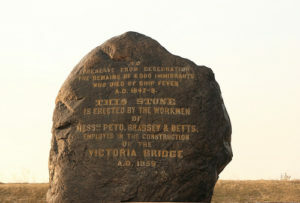 To commemorate the Irish dead, the Black Rock was erected on December 1, 1859 when workers building the Victoria Bridge discovered one of the communal cemeteries. For over a century, Montreal’s Irish community has continued to march to the Black Rock on the third Sunday of every May. The city is still haunted by Black ’47, one of the worst tragedies in Montreal’s history. Hi Lina, that is very interesting! Please send us your more information if you can at info@hauntedmontreal.com and perhaps we will research and blog the story.